Vidushakan malayalam movie directed by debutante T. K. Santhosh will have V K Prakash in lead. The movie is being produced by C.K.Dineshan under the banner Hare Ram Creations. Mythili, Mukundan, Saiju Kurup and Sreelatha Namboothiri will give life to other prominent characters in the movie. The story of the movie focuses on Sanjayan, his notable works, his last days in the attic of Mannikoth Tharavadu when his leprosy had reached its peak. Mannikoth Ramunni Nair, popularly known as 'Sanjayan' is one the famous Malayalam Satirist who has made name with his style of writings which stand unique among millions of other works. Now the life of the great writer is getting to be featured on big screen. Titled 'Vidushakan', the movie would be directed by debutante T. K. Santhosh. An interesting fact is that, V K Prakash who is known among the movie lovers as a film maker is all set to experiment with acting too. He would don the lead role in the biopic which zooms into the life of Sanjayan. The movie is being produced by C.K.Dineshan under the banner Hare Ram Creations. Mythili, Mukundan, Saiju Kurup and Sreelatha Namboothiri will give life to other prominent characters in the movie. The story of the movie focuses on Sanjayan, his notable works, his last days in the attic of Mannikoth Tharavadu when his leprosy had reached its peak. The shooting is scheduled to begin in January 2014 at locations around Kannur, Thalassery and Payyanur. Even though V K Prakash had filled the space for a role in the movie Pithavinum Puthranum Parishudhathmavinum, the film maker is excited to helm the lead role and committed to try his best in acting also. 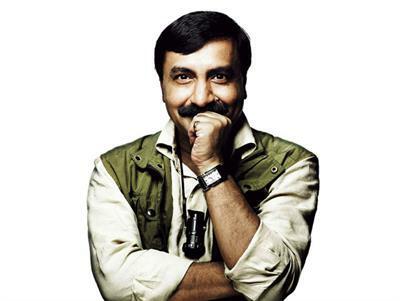 V K Prakash who has long experience in theatres is a product of the School of Drama. T.K. Santhosh, the director has full faith in him truly believe that as an actor VKP could do full justice to Sanjayan. Being truly committed, VKP agreed to work with the project without any remuneration. As the movie is planned to start rolling after 2 months of time, V K Prakash would be investing much time to do a lot of research about Sanjayan to study his mannerisms and style. This low budget endeavour would be a tribute to the great writer Sanjayan.